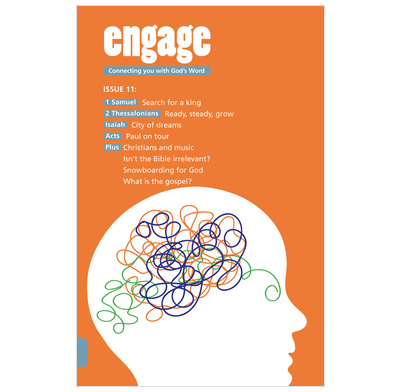 Issue 11 of Engage looks at Isaiah, 2 Thessalonians, 1 Samuel and Acts. Issue 11 of Engage - daily Bible reading notes for teenagers. This issue looks at Isaiah, 2 Thessalonians, 1 Samuel and Acts. There are also articles on what music you should listen to, how to understand the Bible and what the gospel is anyway.